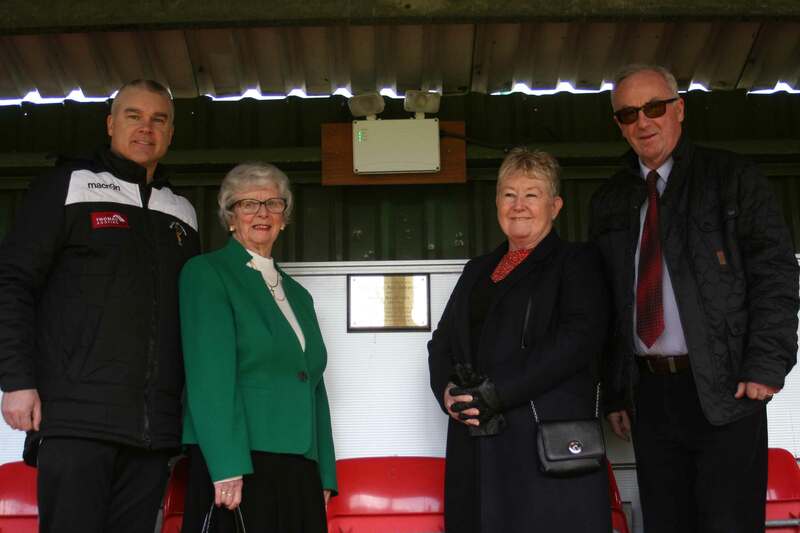 We at Buckley Town Football Club have erected a plaque honouring the loyal, hard-working efforts of the late Cllr Ron Hampson and Cllr Dennis Hutchison. Both men have helped and supported the football club for over 40 years and in the process have operated from chairman to volunteering. The clubs HRGo stand was obtained in thanks to both men and it still stands proud at the Globe. Not only have they served Buckley Town Football Club well, but we will never forget their long-standing duties as town councillors. Cllr Ron Hampson was a well-respected man of the town who lived for Buckley and whenever possible he frequented the Globe with son Stephen. Cllr Dennis Hutchinson the same, in that offering his help and support to the football club and the town in general. Thank you to both from all at Buckley Town Football Club. This entry was posted in and tagged Buckley Town FC. Bookmark the permalink. ← New Sponsor : A. T. Green Ltd.